For some realization comes early, for some, it comes late. But, there is no denying that even a beauty queen turns to natural ingredients to keep her beauty instead of relying on cosmetics or supplements. With the growth in the medical industry, there have been numeral technologies that have come up and are successful for the surgical treatments. Especially when we talk about the dermatological surgeries who show instant results. However, these instant surgeries have their side effects. These side effects can create a worse situation than that existed. Therefore, looking at such trends people have started to use home remedies which were once used by their moms and grand moms. Once such product is Yogurt. Yogurt – just like the health benefits it has several beauty benefits as well. 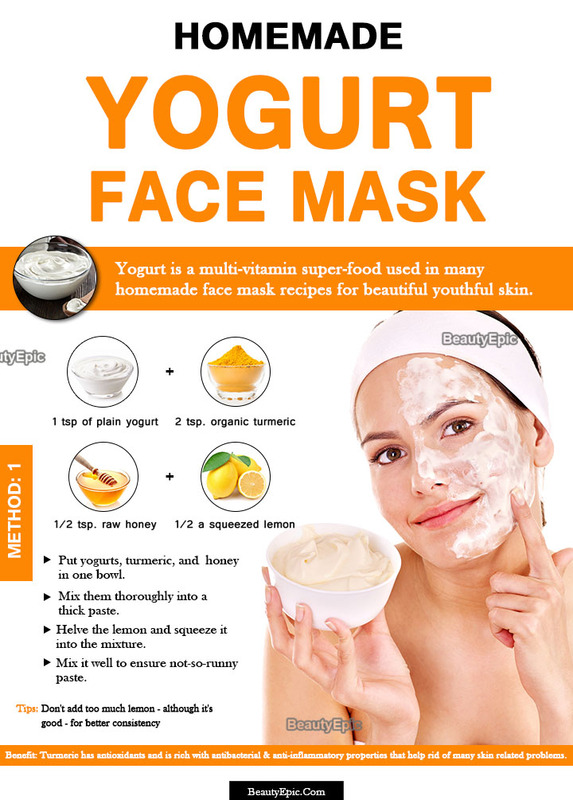 Here we explain some effective homemade yogurt face mask recipes let us read to know! At least, in India, there are societies known to have curd or buttermilk part of their daily meal during the summers. However, very rarely, a very few know the health benefits of yogurts. There isn’t a one way – eating – to use yogurt. There is number of ways yogurt can be used for various purposes. It would come as a surprise to you if you come to know that yogurt is beneficial for your hair care! Yes, dandruff, rough hair, and frizzy hair can instantly smoothen up with Yogurt. Not just hair, the problems like dry skin, roughness, patchiness, tanning, several other skin issues which are most prominent during the summers, are instantly treated with yogurt. So, how is yogurt face mask made? The yogurt mask is easy to make, all you need is the ingredients and accurate measurement of each related to the issue you want to treat. Sometimes the only yogurt does wonder if you want to just soothe your skin and relax. Greek yogurt is great for health, which provides the body and enriches it with benefits. Along with probiotics, the Greek yogurt is nourished with double the proteins. This will help you in several ways like soothing, moisturizing, and removal of tan. When you will apply the Greek yogurt mask you will instantly start to feel the cold soothing effect. The pores of your skin will open up and becomes soft. This will help your skin brighten up and also soften. Moisturization which was lost due to the harsh and screeching sun rays will return. Repetitions: You can always repeat the process alternate days, the however weekly application will be fine. Preparation Time: 5 minutes in preparation, 20 minutes application. Best time to Apply: In the evening if applying alternate days, else in the morning. Tips: You can add the lemon if you are suffering from tanning. The citric acid will help you get rid of the patches caused due to sunburn. Honey is considered to have great health benefits, especially when it comes to weight loss or shaping your body. When it comes to the application of face mask, honey proves to be great for the dead skin removal and brightening your skin. Yogurt soothes and brightens your skin, along with it the cinnamon makes your skin warm and will allow the blood to purify as it is oxygen-rich essential. Initially, the paste might give you a light tingling, which assures the pack is working. Honey hydrates your skin. Repetitions: At least once in a week. Preparation Time: 5 minutes preparation, 10 minutes application. 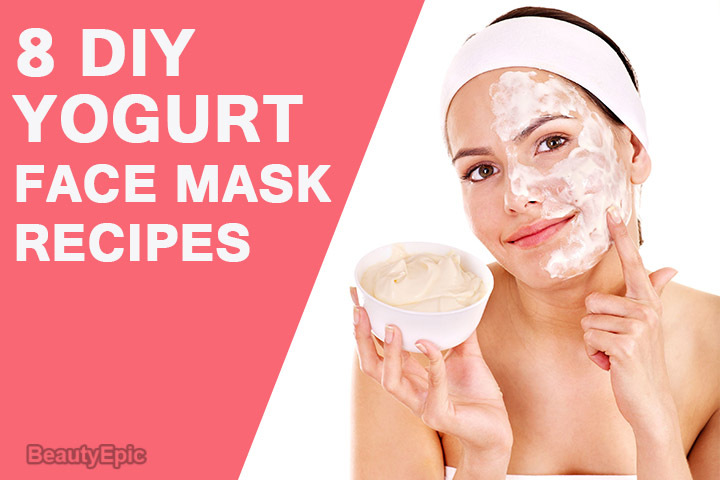 Tips: Try the application of yogurt mask before the night out. This will allow to set the makeup evenly and for more time. Turmeric is a kind of element all the diseases find its antidote in. There are social precedents in India where turmeric has been the ideal beauty treatment. It’s well-known fact that turmeric has antioxidants and is rich with antibacterial and anti-inflammatory properties that help rid of many skin related problems. Put yogurts, turmeric, and honey in one bowl. Mix them thoroughly into a thick paste. Helve the lemon and squeeze it into the mixture. Mix it well to ensure not-so-runny paste. How it works: Turmeric is a great remedy for tanning and dark patches. When mixed with yogurt it soothes the skin and removes the patches of the skin. Preparation Time: 3 minutes for preparation, 20 minutes for application. Best time to Apply: Before the shower. Tips: Don’t add too much lemon – although it’s good – for better consistency. Lemon along with yogurt allows to soothe and reduce the skin irritation and redness caused due to the sun rays. Lemon helps in reducing the scars and blemishes on your face and instantly calms them down. The lemon helps in removal of tan, blemishes, and skin irritation on the face. The lemon because of the citric acid is a great remedy for tan and sunburn removal. It allows to soothe the face and removes the dirt completely from the pores. Preparation Time: 5 minutes for preparation, 15 minutes application. 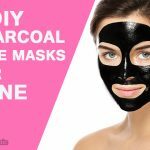 Tips: Do not apply the mask if skin irritated too much. A little tingling effect will cause, which shows the pack is working. Are you facing skin issues like skin rashes, insect bite, dark circles, or eczema? Oatmeal along with Yogurts could be your ultimate solution. Having emollient qualities, Oatmeal reduces itching and provides much-needed smoothness to the skin. Pour in yogurt in the bowl and add Oatmeal. Warm a spoonful of water on the gas for a few seconds. Add honey to the water to have warm honey. Add honey to the yogurt paste and steer well. Leave the mask for 10 minutes on the face. Clean the face with a dry towel. Oatmeal is known to have amino acid and hypoallergenic elements, which play a critical role in reducing blemishes and eliminating rashes. Yogurt’s anti fungal and antibacterial properties effectively cleanse the skin pores, revitalizes skin and helps rid of acne and other skin related impurities. Preparation Time: 5 minutes for preparation, 10 minutes for application. Best time to Apply: Before or during the shower. Tips: Wash face before applying the mask. Avocado, an enriching and omega 2 fatty acid rich fruit is not just beneficial for health but your face too. The creamy texture fruit allows to go deep into the pores of your face and nourish your skin. The yogurt and avocado face mask allows your skin to relax and become glow and smooth. Avocado is rich in omega 2 fatty acids, which helps in clearing the clogged pores of the face. During the summers the avocados work very and moisturize and cools down the skin. Mixing with yogurt with avocados will add a top notch. Repetitions: Twice or thrice in a week. Preparation Time: 10 minutes for preparation, 15 minutes for application. Tips: One can apply the paste using a brush for easy and even application..
Summers is here! Talk about summers and you do not add cucumber in your diet, how can that be possible? Well, yes, just like cucumber freshens you, similar it will freshen up along with yogurt when applied on your face. How it works: The cucumber helps in soothing the skin. The cucumber mixed with yogurt helps in smoothing, exfoliating and removing the pimples on your skin. Tips: Add 1-2 drops of olive oil if you are a dry skin. This will properly spread the paste on your face and moisturize properly. You might have heard it from your mom or grandmothers the benefits of gram flour. Gram flour works amazingly on your skin and is a great exfoliator. It removes dead skin cells from your skin and leaves the smooth and clear skin. Gram flour will completely exfoliate your skin and helps to remove the dead skin from the face. This will then open the pore of your skin and nourish it from within. The yogurt, on the other hand, will smoothen and moisturize your skin which might become dry while exfoliating. Repetitions: Daily if possible, else at least once in a week. Preparation Time: 2 minutes to prepare the mask, 8 minutes application. Tips: You can always use the Greek yogurt for the best results. Also, you can add a pinch of turmeric if you have patchiness on your skin. By now it must be crystal clear that Yogurt is not just healthy and extremely beneficial but also a great remedy for your skin too. Skin, one of the largest part that covers your body is very necessary to be taken care of. Especially when it comes to face, there are several people who love to have clear and smooth skin. Even after incorporating a healthy and strict diet there are many times your face is unable to get that glow. Yogurt is the key essential for skin care. 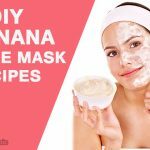 There are numerable skincare home remedies, however, yogurt, will not just help you during skin issues but can be applied and added to your daily routine. These packs of yogurt will give you a completely relaxed and calm skin.